Having originated in Japan, where it hosted the competition amongst renowned tuners (such as HKS, TOP SECRET, AMUSE, SPOON ..), the Time Attack format has quickly become one of the most thrilling branches of modern day motorsport. Whether they are amateur or professional drivers, racing sports or competition cars, breaking the best lap record attracts all enthusiasts alike, looking for a new challenge. 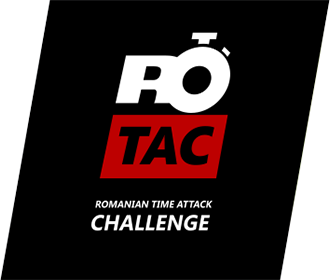 Founded in 2015, the ROTAC (Romanian Time Attack Challenge) series, is a Time Attack championship open for all those who want to overcome their limits in a competitive and secure environment. Over 3 training, 2 race and one SuperLap™ sessions, the competition format provides both competitors and tuners with an optimal framework to develop and enhance their performance. Class ranking is based on weight / power ratio, adjusted according to the performance modifications. For details, please see Chapter 11 of the ROTAC Rules and Regulations. What is your car's Aero level? Did you perform any weight reduction? Would you like to register to ROTAC using this car? Safety first. Read the manual.